Keith A. Goldbaum graduated from the University of Michigan with Honors and the Detroit College of Law. He is licensed to practice law both in Michigan and Florida. He is also admitted to practice before the United States District Court for the Southern District of Florida, the United States District Court for the Middle District of Florida, the United States District Court for the Eastern District of Michigan and the United States Court of Appeals for the Eleventh Circuit. Mr. Goldbaum served as a law clerk for Judge Irwin Burdick of Michigan's Third Judicial Circuit and clerked for the office of the U.S. Magistrate Judge in the United States District Court for the Eastern District of Michigan. He has delivered presentations throughout the country on the topics of business growth and dispute resolution. 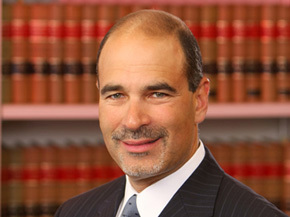 Mr. Goldbaum's practice focuses on litigation and dispute resolution. He has successfully represented and continues to represent Comerica Bank, LCI International Telecom Corp., Seta Corporation, Consultis, Comerica Bank, and other public and private companies in various complex litigation matters including commercial, class action and international litigation. Most recently, Mr. Goldbaum has been extremely successful in defending real estate foreclosures in Florida. Mr. Goldbaum is a member of the American Bar Association, the Southern Palm Beach County Bar Association, and the Greater Boca Raton Chamber of Commerce and has served as a Director of the Jewish Community Center (JCC) of South Palm Beach since 1988 and on the JCC Executive Committee since 1990. Mr. Goldbaum has significant experience in defending real estate foreclosures in Florida.